Naira gets ready for marriage after she reads Akshara’s letter. Naira had returned shagun before, which had upset Kartik’s family. Naitik had explained Naira to move on in life and handed over Akshara’s encouraging letter to her. Naira gets guidance from the letter. Naira loves Kartik a lot and wants to live her life with him. She could not leave her family at the sorrowful time. But, Naitik asks her to think of Kartik and Goenka family. Naira understands its Akshara’s wish. Akshara wrote that mother can explain her daughter that just bahu can do the work of converting relations in love. Naira knows Kartik is her true life partner. Naira gets the bridal dress which Akshara made for her. Naira takes Akshara’s blessings. Akshara’s dream was to see Naira in bridal dress. Naira decides to fulfill Akshara’s dream by marrying Kartik. Naira calls Kartik and says I have to say something. Kartik does not get sleep all night and reaches early morning to meet Naira. He walks on the road all night and wants to know what Naira wants to tell him. There are cute moments between them. Naira and Kartik meet and have a romantic dance. They wish the time stops at that moment. Kartik and Naira’s romance will be seen. Naira proposes Kartik in a filmi way. Naira gets on knees and confesses her love to Kartik. Kartik gets a surprise and hugs her, accepting her proposal. 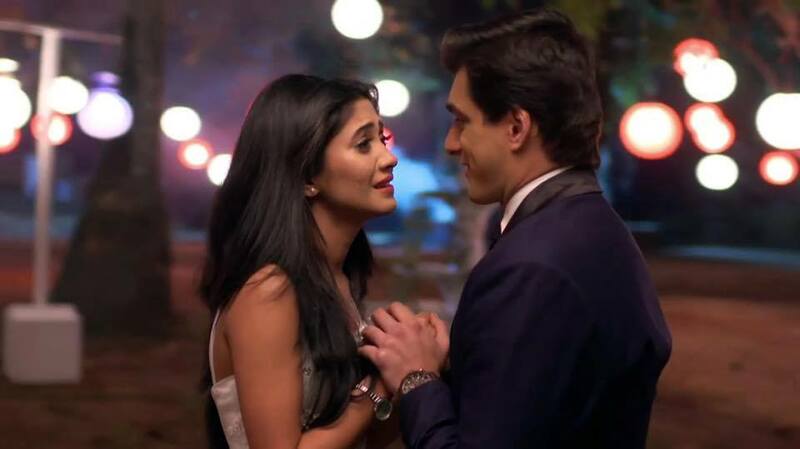 Kartik tells Naira that he met Akshara and then worked in Naitik’s company, then destiny made him meet Naira and universe united them, by making him stay at Rajshri’s house. He tells Naira that universe planned to get them together, it was all so well connected, Lord wanted them to meet and unite. Naira and Kartik speak out their feelings. Kartik and Naira can’t live without each other. Singhanias get Naira’s proposal and shagun for Kartik at Goenka house. Naitik and Manish sort out the differences for their children’s sake. Kartik hugs Naitik. Bhabhimaa and Devyaani give him sweets of shagun. Kartik takes their blessings. Kartik gets much happy. Dadi and Manish accept the shagun. Dadi blesses Kartik and Naira. The pre-marriage celebrations will soon start. Keep reading.